Frank joined Deutsche Post DHL in 2002. 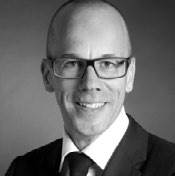 He has lead major business change programs within Deutsche Post/DHL and prior to it within the German Armed Forces. With a Ph.D. at the Martin Luther University in Halle Wittenberg and a post graduate diploma in international management from the National University of Singapore, Frank combines deep transformational business change experience and large programme management experience with strategic and operational leadership. Today Frank is the Managing Director, Global Service Centres for DHL Global Forwarding, Freight, an organization of more then 3200 employees based in Bogota, Mumbai, Chennai, Chengdu and Manila. He is passionate about service management, business transformations, and intercultural management.